Semi-automatic egg tray machine is a promising business plan for investors, especially when the ban on plastic products has been carried out worldwide. There is a wide market for paper pulp molded trays. Moreover, compared to the fully automatic egg tray machine, the semi-automatic egg tray making machine has many advantageous features, such as affordable price. While it is much easier to operate than the manual egg tray machine to save your labor force input. Meanwhile, the working efficiency is much higher. Thus, to invest in a semi-automatic paper egg tray making machine will be very profitable and popular. 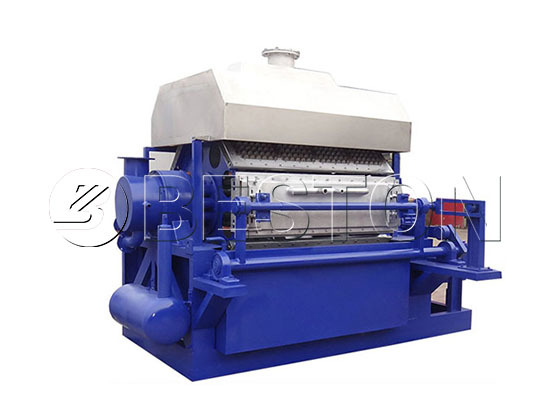 Beston has 7 models of egg tray machine for sale. The hourly output ranges from 1000 to 6000 pieces. And these models can be customized as manual, semi-automatic or fully automatic type according to customers’ requirements. Here let’s see the main parameters first. 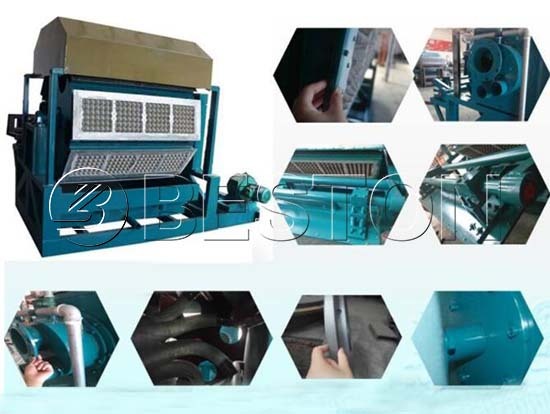 What’s more, Beston Pulp Molding Machinery can also provide the different design of molding dies, such as egg carton machine, seedling tray making machine, etc. The egg carton production line is similar to the egg tray production line, which is also can be manual, semi-automatic and fully automatic. As we know, the molding system is the key part of an egg tray production line. And the main equipment is the pulp molding machine. 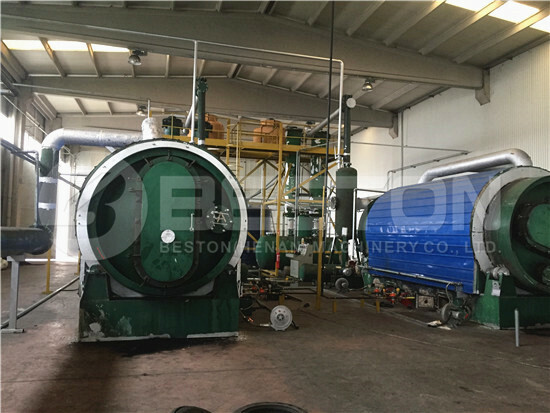 However, all Beston pulp molding equipment is automatic, which makes the whole manufacturing line easy and effective to operate. Here is a picture showing the details of our egg tray forming machine. Actually, the main difference between manual, semi-automatic and fully automatic egg tray machines lies in the drying system. 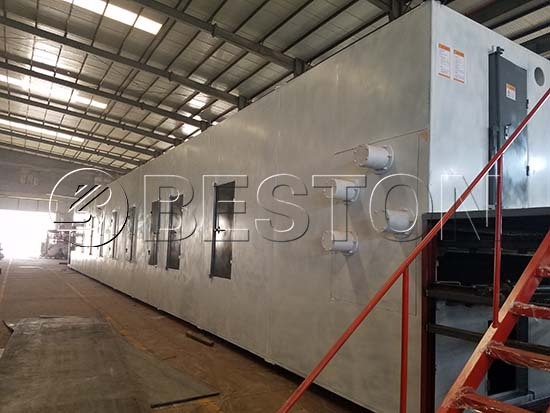 For now, there are four common egg tray drying lines, including natural drying, brick drying room with carts, brick drying room with a conveyor belt and metal drying line. 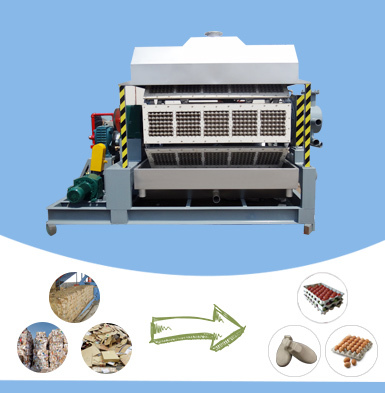 In general, the metal drying line is fully automatic and natural drying is more suitable for small egg tray machines. 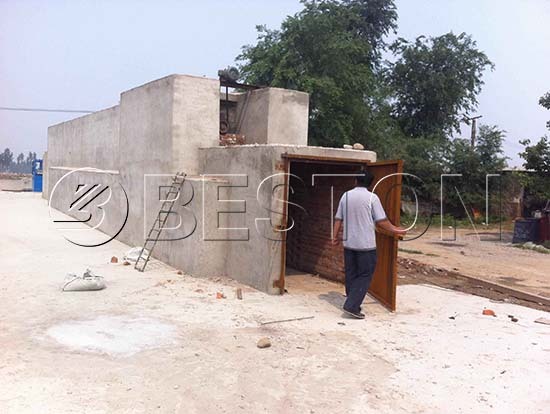 While the semi-automatic egg tray machine often goes with brick drying line. 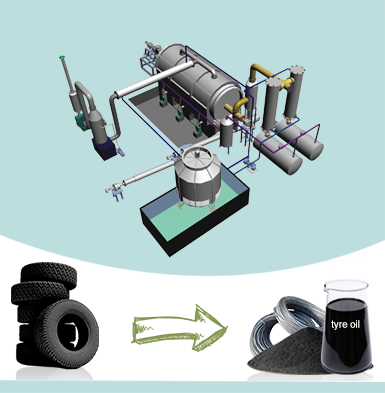 You can choose the most suitable drying system according to your real conditions. As mentioned, we employ an automatic pulp molding machine to make the production line simple and safe to operate and maintain. Besides, the working efficiency of the semi-automatic egg tray production line is higher than the manual one. Meanwhile, it can save your labor force input. 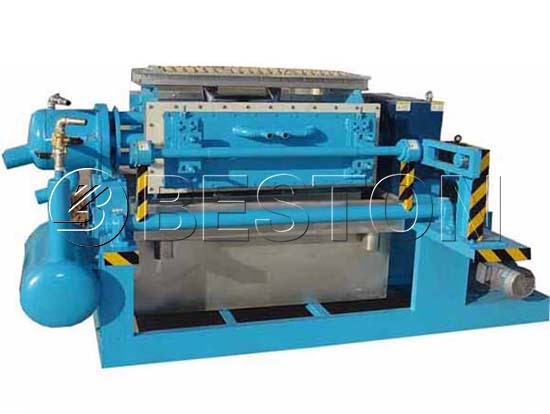 If you purchase an egg tray making machine from Beston Machinery, our engineers will provide you with a suitable layout design according to your plant. Here is a semi-automatic egg tray machine video which employs a brick drying room with carts for your reference. This video shows the brick drying line with carts. You can follow Beston Youtube Channel to see more videos about their egg tray machine. Compared to the fully automatic egg tray production line, the semi-automatic one is more affordable because of the low construction costs and long service life. 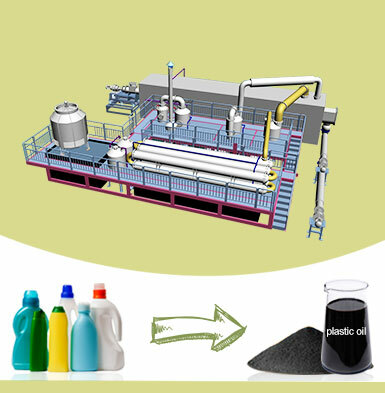 Moreover, there are abundant raw materials, including waste paper, agricultural wastes. 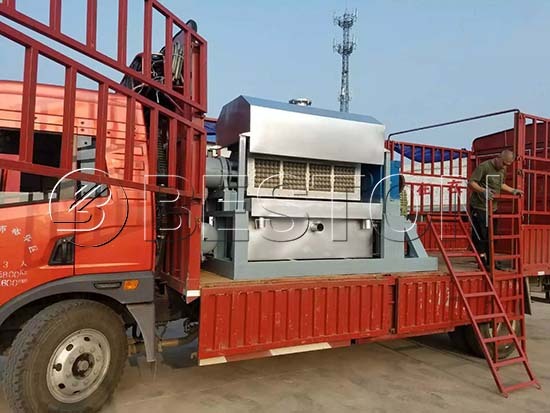 Thus, the fair egg tray machine price and low operating costs make Beston semi-automatic type more popular among investors. 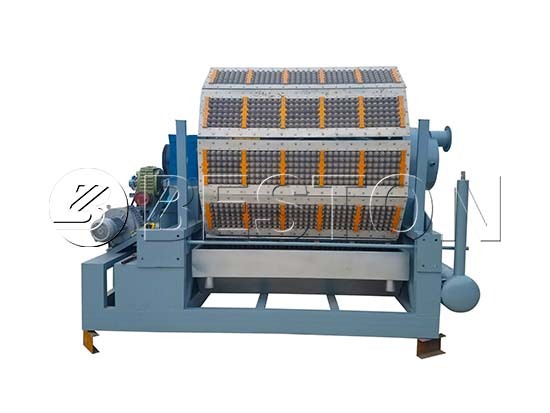 Semi-automatic egg tray machine is affordable for many investors. As mentioned, we have 10 models of pulp molding machines for sale. All these machines can be designed as semi-automatic production line. However, manual egg tray machine is suitable for the production line with the output less than 2000 pieces/h. And the automatic production line will be cost-effective when the hourly output is more than 5000 pieces. 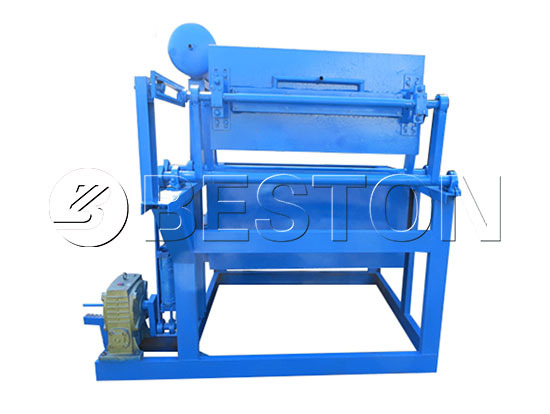 So the semi-automatic egg tray machine is the best-selling product of Beston Machinery. Here is an egg tray making machine video from our Egypt customer. This is a four-sided egg tray machine with a brick drying line. What the workers need to do is to pack the dried trays together at the end of the egg tray drying line. 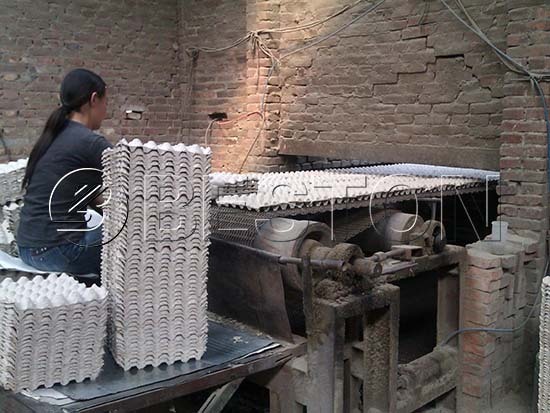 It is proved that the egg tray production line is easy and labour-saving to operate. That’s why the egg tray manufacturing business plan enjoy great popularity among investors. 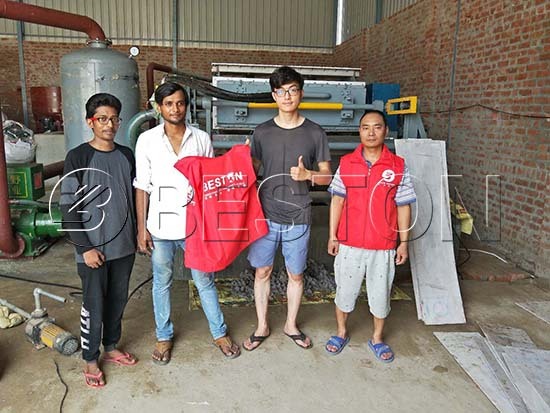 More importantly, Beston Machinery is a professional egg tray machine manufacturer which has more than 20 years of experience in pulp molding machinery. Thus, we are qualified to offer our customers the most cost-effective egg tray manufacturing business plan. 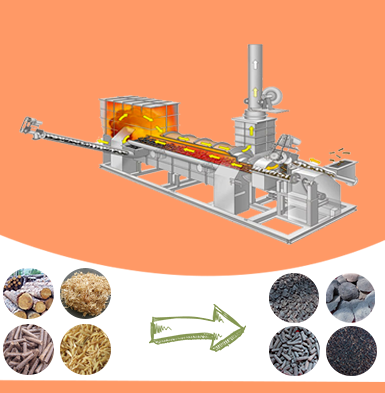 Except for paper egg tray machine, we have a wide range of products, for example, waste sorting machine, waste pyrolysis machine and biochar production equipment for sale. All our products are eco-friendly. Also, we have developed a complete service system from pre-sales consulting to after-sales tracking. 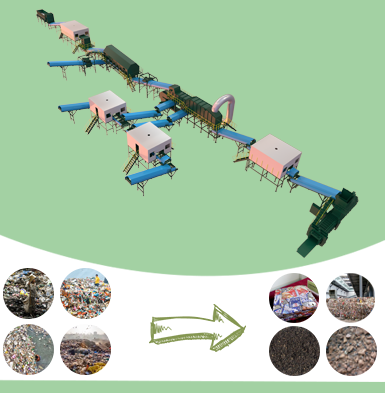 That’s why Beston Group is well-known for waste recycling machinery around the world. If you want more details about our products, please feel free to contact us!